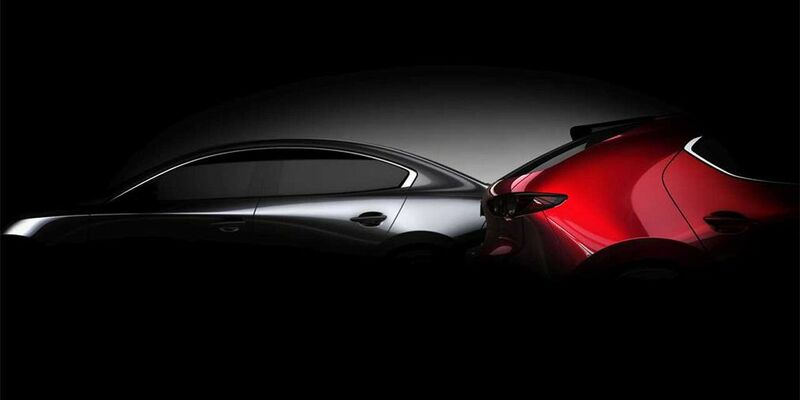 Mazda has distributed the 1st teaser of a new generation Mazda3 sedan and hatch. Officially, the new car debut on November 28 in Los Angeles. The design of the novelty was created in the KODO corporate style. The appearance of the car is very similar to the prototype Kai 2017. Most likely, the serial Mazda3 will get rear pillars of similar shape, tilted tailgate with narrow LED lights behind. The model will receive a fully digital 'tidy' with an ability to customize and select one of several variations. Among the engines will appear the SkyActive-X family of motors, which will be the first serial gasoline engines in the world that use compression ignition, and not from candles.